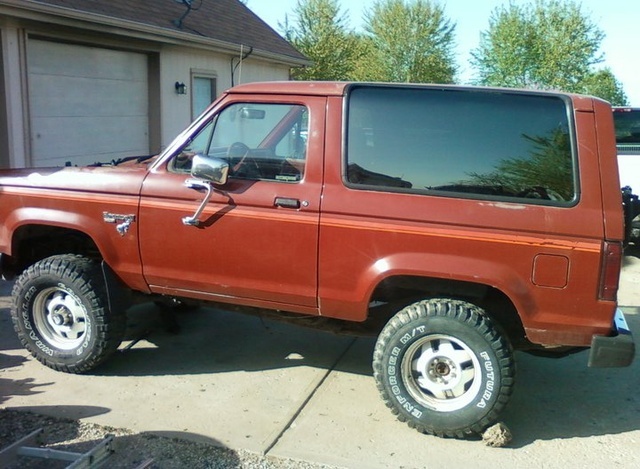 Have you driven a 1986 Ford Bronco II? 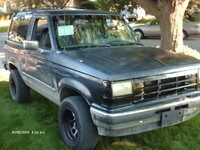 Displaying 1 - 10 of 14 1986 Ford Bronco II reviews. Fun For The Off The Road In You — This 1986 ford Bronco II was a very fun truck to own and drive if your offroad I would not reccomend for a Daily driver of long commutes as the handling and suspention are very sloppy it seems for "on road" use Off road however this truck was very fun and seemed to crawl on through anything I thre at it ! 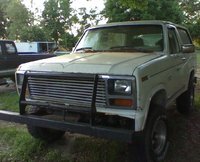 Buy One — '86 Bronco 2, 2.9 v6, 4x4 fun to drive and tough as nails, good gas mpg, ok looking interior put a winch on it and you can go anywhere. the wheel base it like 92'' i can touch the front and back tires. Overall I Didnt Pay But 600.00 For It — this lil thing has been everywhere what i like most of all is the turning radious lol i love it wouldnt trade for anything it has a 2.9 litre engine only 31 inch tires at the moment want to go with at least a 33. Overall Is A Good Vehicle, Seems To Be Reliable Too. — The power on this vehicle is decent, it can handle a load very well too. Handling is not great, but it is an suv. The front seats are comfortable but the back seats leave something to be desired, even for a 24 year old vehicle, it rides very smooth too, it is also comfortable on your wallet with mine getting 18-20mpg if driven relatively easy (keeping speed around 55-60), the worst I've gotten is 15. Overall its a good weekend vehicle or even a daily driver, it can also work as a utility/tow vehicle. I also think it is a good looking vehicle. Pros: Good style, decent power, comfortable, good offroading, pulls good. Cons: Handling is not to good, back seat is not real comfortable. Sweet Off Road Vehicle — Very top heavy. Very smooth going down the road. 4-wheel drive is kind of weak but its old so who cares. Great gas mileage. Lots of fun to play around in just be careful and don't get stuck. Brakes are amazing. Peace Of Crap But I Love It And It Will Be With Me Forever — it has been in the fam for a while i love it even if my wife hates it and want to roll it off a clif. i have a 6 inch lift for it and a 302 block i really need to get in it so i can upgrade my star levels on this car. it has 300,000 miles on it and still runs great . all it needs is some work and ill be on the trail agine. 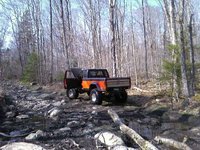 CarGurus has 12 nationwide Bronco II listings and the tools to find you a great deal.